Nothing brings me more joy than creating order and calm in my clients homes, so when Maria approached me to install her new pantry, I instantly jumped at the chance! A fun project from start to finish with a few meetings to discuss logistics and moving day dates, we were ready to begin! Maria was deep in the thick of moving house so the best idea to keep things as smooth as possible was for me to literally take over the whole process. This involved me unpacking the 'old' pantry, which gave me a sense of what they used as a family, what they liked and what was needed for the new pantry to run efficiently. The old pantry was small and deep so things often got lost and forgotten. Fortunately the new pantry was filled with crisp freshly painted narrow shelving, heaven for a professional organiser! No more lost pantry items! With the new pantry measured, a stocktake taken of ingredients, new containers and storage items purchased, install day was ready to begin! With the right planning this was an easy, fun install, done in three simple steps. This is crucial for a pantry to run smoothly for the whole family. Like with like products such as pasta, rice, noodles etc. Sauces and condiments together (Howard's Storage lazy Susan's are a game changer here!) Baking, sweets, cereals and snacks together. If like items are grouped together, the pantry immediately makes more sense and it's a joy to use. Dry ingredients need to be decanted and labelled. Clear, labelled containers make the pantry functional and accessibile for everyone using it. It instantly creates calm and order. Kmart clear push containers were used here. 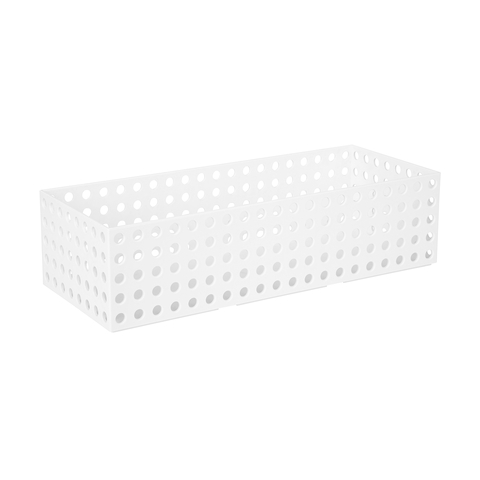 Excess products and special occasion products stored away in labelled Kmart baskets and containers. 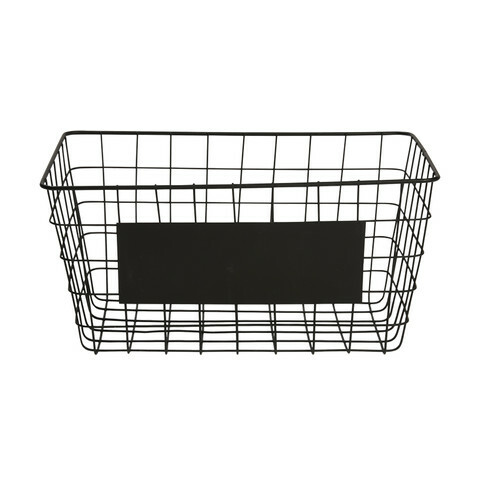 Party supplies, picnic supplies and excess products can be stored in baskets. Not every product in your pantry needs to be on display! Sarah admiring her work and so she should! It's fab, I'm so happy with the results. Thanks Maria, I love your pantry! [Not as much as me Sarah, but not so sure about Lola... LOL! !